Probate is the legal process of administering the estate of a deceased person by resolving all claims and distributing the deceased person’s property under the valid will. A probate court (surrogate court) decides the validity of a testator’s will. A probate interprets the instructions of the deceased, decides the executor as the personal representative of the estate, and adjudicates the interests of heirs and other parties who may have claims against the estate. The probate process is a potentially difficult series of negotiations and court hearings creating family tension. 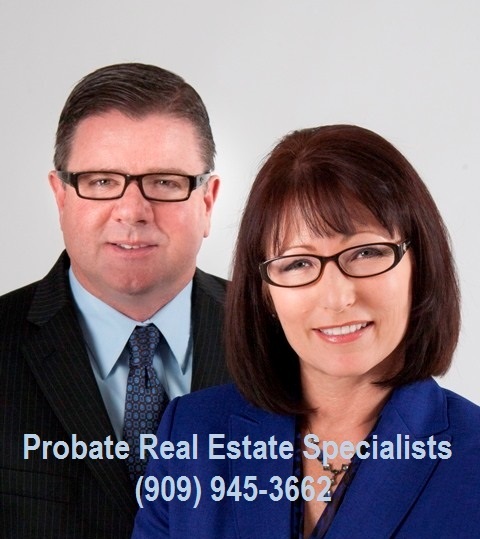 There are three main ways a probate is handled in relationship to real estate sales. In any event, all of these can end up in court. We’ve had experience with all three and our promise to you is to be there at every stage to help you through the process. This includes everything from fixing up the property for sale to appearing in court to assist your attorney. Appointment of an Administrator or Executor – If there is a Will that nominates an Executor, and that person is willing to serve, they will be appointed as Executor. If there is no Will, or the Will does not nominate an Executor who is still alive and willing to serve, then an Administrator is appointed. This is usually one of the heirs, someone nominated by an heir, or the Public Administrator (a County agency). An Executor and an Administrator have the same responsibilities, and I will use the term Executor from now on. The sale of property – There are two different procedures that are followed, depending upon whether the Executor has been granted “full independent powers”. If the Executor has full independent powers, they may, but are not required to, elect to use the following procedure. They list the property for sale. Once they have an acceptable contract, they mail out a Notice of Proposed Action stating the terms of the proposed sale. The heirs then have 15 days to object. If there is no objection within 15 days, the sale goes through without any court hearing required. If the Executor does not have full independent powers, or if an heir objects to a sale under the Notice of Proposed Action method, then the following procedure applies. A notice of the sale must be published in a newspaper of general circulation (unless there is a Will that waives this requirement). Accepting an offer – The offer accepted must be 90% or more of the Probate Referee’s appraisal. Court Confirmation – Once an offer is accepted, a petition seeking confirmation of the sale is filed with the court and set for hearing. The court hearing usually takes place 30 to 45 days after the petition is files. A copy of the petition and details about the sale are mailed to all heirs. Over bidding – At the Court Confirmation hearing, the accepted offer may be overbid by other buyers. The minimum overbid is 10% of the first $10,000.00 plus 5% of the balance up to the amount of the accepted offer. A cashier’s check for at least 10% of the minimum overbid price must be shown to the court in order to make an overbid. That 10% check is given to the Executor at the hearing by the winning bidder. A contract is then signed. This contract can have no contingencies and escrow usually closes within 15 days after the hearing. If you need assistance selling real property through probate, trust or conservatorship, then let a team of qualified, caring experts come to your aid. It would be our pleasure to assist you in your next real estate transaction. Providing you with comprehensive, high-quality customer service is our top priority. So when you decide to buy or sell your home, please contact us today! – (909) 945-3662 and let’s get started!